A big thank you to New Zealand Aid for spending $17 million aud on this excellent project. Port Vila has always been a stunning harbour but now it can be truly enjoyed thanks to this beautiful upgrade. 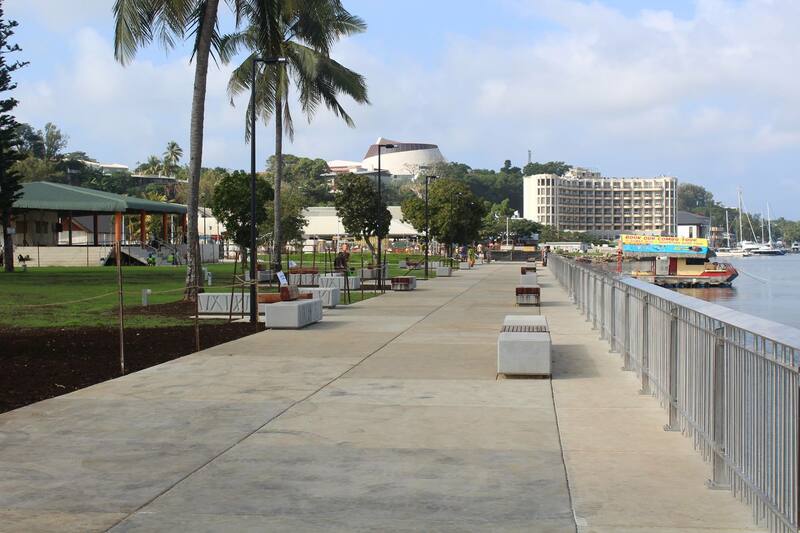 Now everyone can stroll along the new 1.2 km waterfront walkway and enjoy the many restaurants, bars and cafes along the way. The next cab off the rank of infrastructure upgrades is the completion of the roads and drainage of Port Vila which is now taking shape. Great to see all these projects underway.